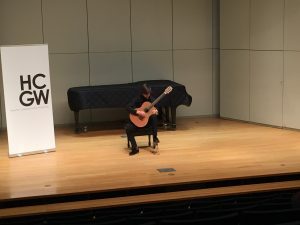 The weekend of July 15-17th marked the second annual HCGW, or Houston Classical Guitar Workshop, put together by the great maestro, Dr. Isaac Bustos. I had the privilege of participating, not only as a performer, but also as a lecturer, teaching assistant, and student! Not only that, but I also got to bring my own up-and-coming student, Caleb, who performed and did an awesome job. What an honor! On the whole, the weekend was a great success, and tons of fun. 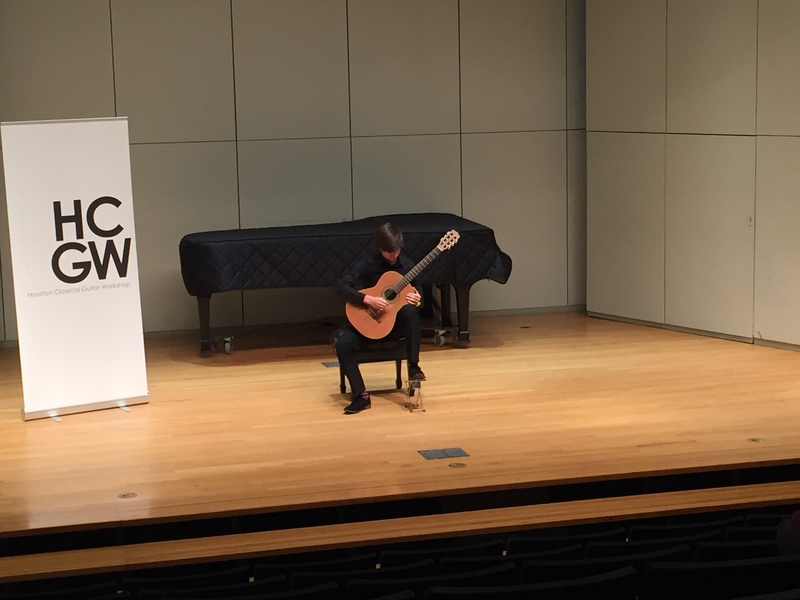 The days were filled with lessons, lectures, and youth performances; the nights filled with performances by many great guitarists (Dr. John Yerby, Mitch Weverka, Mark Cruz, Dr. Joe Williams II, Dr. Alejandro Montiel, and of course, Dr. Bustos). In between everything was guitar in the lobby, conversation with old friends, and everyone was sharing and learning – not to mention fun after-concert hangouts! The talent at the festival was truly something to behold. Keep in mind, this event is only in it’s second year! All I can say is, if this weekend is any indication of what’s happening at large in the guitar world, then it’s truly an exciting time to be a guitarist! Unfortunately, with all the activities, I didn’t get many pics. However, I did manage to get one of my student Caleb just before his performance! I’ll leave you with that, and in the meantime, eagerly look forward to another great HCGW event next year!